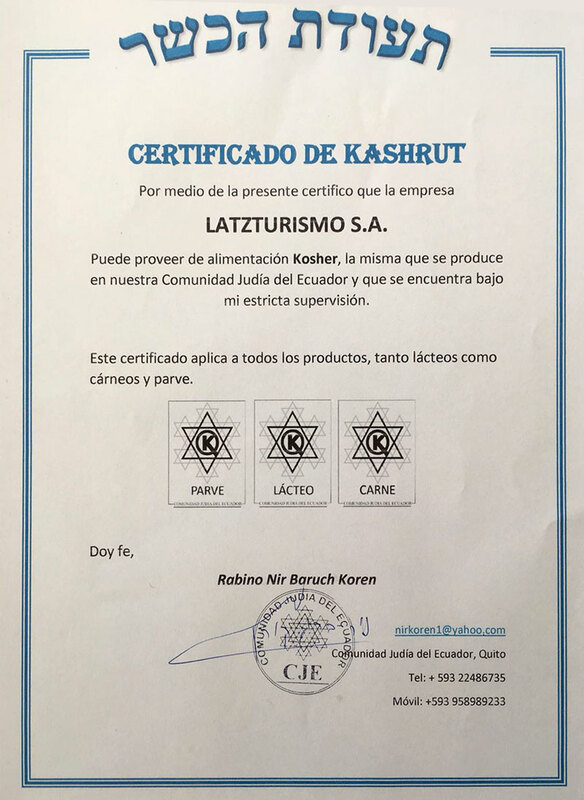 With more then 10 years of experience & kosher groups from all over the world, we work in the highst standards and have the knowledge and back up from the Jewish Rabbi of Quito community. We make sure all details are accomplished for our clients. 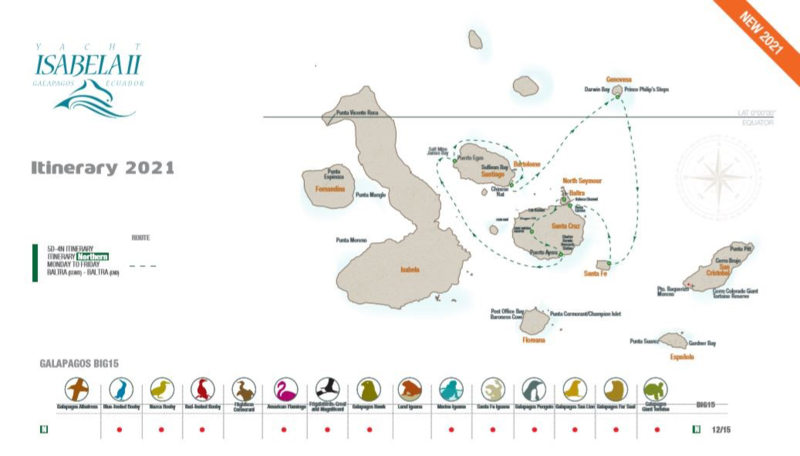 We operate cruises in Galapagos, land based tours in Ecuador & in the Galapagos islands. We guaranty 100% kosher services!! We are the only one to provide Jewish traditional tours in Quito. Local mashgiah. Variety of products: parve,dairy,fish, chicken & meat. Local dishes with fresh & organic products. Luxury tours & hotels. Family reunions. Special events. The Galápagos Islands are special and you want a special yacht in which to explore this “living laboratory of evolution”. Our Yacht Isabela II, accommodating 40 guests, promises an intimate experience of this unique world. 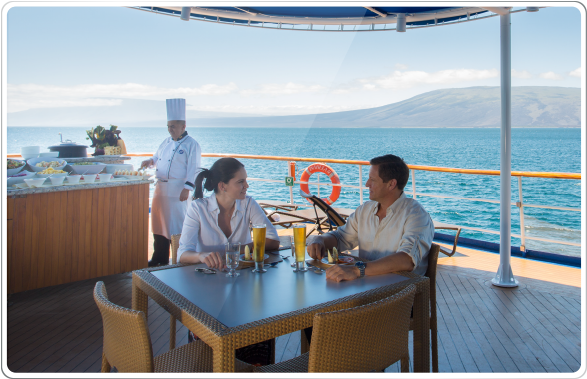 Intimate Galápagos experience (only 40 guests) with a strong sense of expedition culture on board. Glass-bottom boat for people who don’t want to snorkel (only very few other operators have them). Permanent doctor (MD Officer) on board, giving free consultations. We firmly believe in treading lightly in the pristine environment of the Galápagos Islands and have pioneered various social responsibility projects in the archipelago since the 1960s. Water-treatment plant for sewage water. 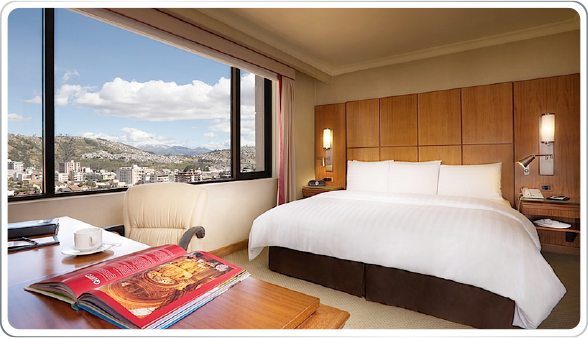 Swissotel Quito is one of the city's top five-star luxury hotel, conveniently located in the Floresta neighbourhood of Quito – both a commercial and residential area,only at 25 minutes from Mariscal Sucre International Airport. Each of Swissotel Quito's 232 elegant guest rooms and 43 executive apartments is air-conditions and feature modern design. Luxurious amenities include state-of-the-art technology and free internet connection. Executive rooms and the Swiss Executive Club lounge provide additional luxury and exclusivity. SEPT 1 – ARRIVE TO SWISSOTEL & CHECK IN. KOSHER DINNER 20:00 ACCOMMODATION IN BUSINESS ADVANTAGE ROOM. SEPT 2 – 06:00 KOSHER BREAKFAST IN HOTEL. 06:45 TRF TO AIRPORT. 09:25 FLIGHT TO GALAPAGOS. SEPT 6 – TRF TO AIRPORT AT 06:30. 08:00 FLIGHT TO QUITO. ARRIVE TO QUITO & TRF TO HOTEL. FREE IN HOTEL. 18:30 SHABBAT SERVICE & DINNER. ACCOMMODATION IN BUSINESS ADVANTAGE ROOM. SEPT 7 – SHABBAT SERVICES & MEALS IN SWISSOTEL. ACCOMMODATION IN BUSINESS ADVANTAGE ROOM. SEPT 8 – KOSHER BREAKFAST IN HOTEL. **END OF SERVICES** **OPTION FOR DAILY TOURS BEFORE OR AFTER CRUISE DATE. Internet and WiFi (intermittent and low-bandwidth). My husband and I wanted to celebrate our thirtieth wedding anniversary with a trip to the Galapagos Islands and the Amazon rainforest yet were unsure how to manage kosher food and Shabbat. We were lucky enough to find Offir through an internet search, and from the moment we made contact with him, we saw that we would be taken care of. His services extended way beyond finding us a beautiful cruise ship and arranging to send kosher food there and to the lodge in the Amazon. He personally arranged our Shabbat accommodations, set up all hotel/airport transfers and found us a tour guide for the free time between. Offir met us at our hotel the evening we arrived and brought with him additional food and patiently answered all of our questions. He checked up on us during our stay to insure that each detail went smoothly and we felt that he would be there for us if any issues came up. It is hard to imagine how we could have managed this trip without his help. We are so grateful to Offir for all his help in making our vacation the trip of a lifetime!